Find Out How You Can Get 10 Days FREE a Year! Vision Childcare programs ensure your child receives the proper curriculum, love and care to help them learn and develop in a stimulating environment. Our staff have a dedication and passion for providing compassionate Christian care for the children who grow and learn with us! The Vision Childcare campus is designed for creative and fun learning adventures for every age, in a safe and nurturing environment. Contact us to see how you can get 10 days free a year! Fun academic childcare programs created from 30 years of experience with thousands of families served. 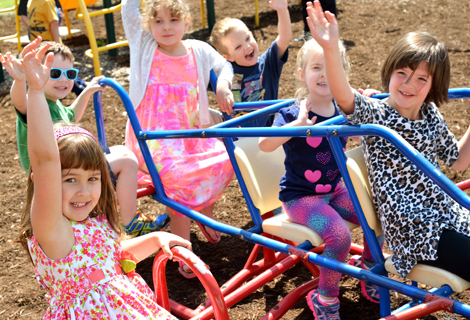 Vision Childcare in Mars, PA. offers an exciting learning environment for children 6 weeks to 11 years of age. We are an affordable, non-profit daycare with a very experienced staff and a unique, safe and secure campus. The success of our daycare stems from our core values to embrace each child with love and care in their daily activities. This teaches the “life values” that will stay with your child and help them become successful throughout their lives. We have served the communities of Mars, Adams Ridge, Adams Township, Cranberry Township, Evans City, Gibsonia, Middlesex, Pine Township, Richland Township, Seven Fields, Treesdale, Pine Richland, South Butler County, North Allegheny County and surrounding areas for more than 30 years.